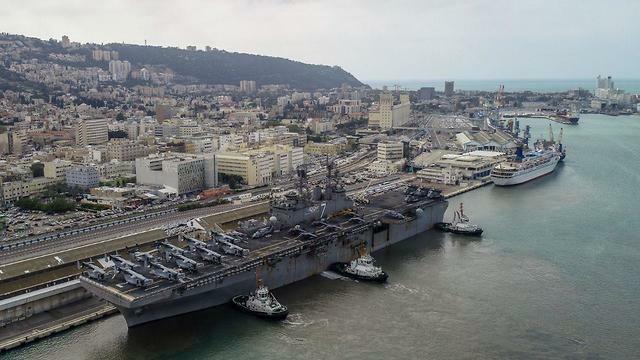 A top Israeli military and energy official has questioned Israel and China's growing economic ties just as a Chinese company is set to begin operating Haifa Port as part of a major 25-year contract previously struck in 2015. 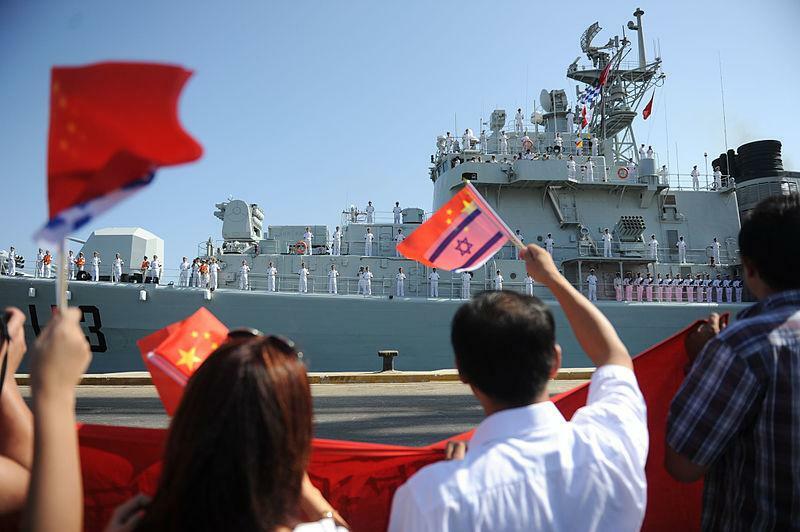 “When China acquires ports,” Israeli Brigadier General Shaul Horev began in an interview this week with national news source, Arutz Sheva, “it does so under the guise of maintaining a trade route from the Indian Ocean via the Suez Canal to Europe, such as the port of Piraeus in Greece. Does an economic horizon like this have a security impact?" He is calling for an Israeli security mechanism that that will review and scrutinize Chinese investments in Israel and the Mediterranean to ensure they don't harm the security interests of Israel or its partners, like the United States. 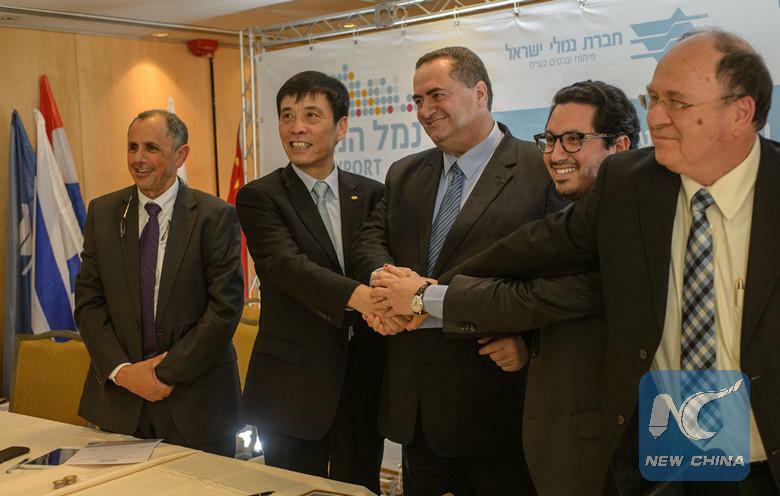 The Shanghai International Port Group (SIPG) will manage Israel's largest port at Haifa as part of a contract to be inagurated in 2021, which will run for 25 years. Meanwhile a separate Chinese firm was recently awarded a contract to construct a new port in the southern Israeli city of Ashdod. According to various reports China has been spending roughly $150bn a year in the countries involved in its massive Belt and Road Initiative (BRI) which seeks to link Asia, Europe, and Africa in a vast Chinese-underwritten free trade infrastructure. Mediterranean outposts like Haifa are a key link in this corridor, a corridor which China hopes will be fully established as a "21st century Silk Road" by 2049. But as we've noted recently, major multi-billion dollar infrastructural projects in host counties could come at a cost, namely it could open the door to Chinese spying and expanding influence of its security services. The Israeli military official's statements came after a major defense conference hosted in the city of Haifa last month, where the issue of Chinese economic expansion into Israel was discussed and debated. Critical voices of Israel's closer relations with China noted that such decisions as the Haifa port deal with the SIPG were made solely under the oversight of the Transportation Ministry and the Ports Authority, but reportedly had no involvement of the the National Security Council or Israel's navy. This is concerning, critics say, as President Trump has ratcheted up his rhetoric over China's threat to American business and interests at home and overseas. This is also worrisome considering China's increased ties with Iran and refusal to abide by White House sanctions on Tehran and Trump's demand that countries should stop importing Iran's oil. China had jumped at the opportunity to be a prime mover in Iran's economy since international sanctions were lifted in January 2016 as part of the 2015 nuclear deal brokered by the United Kingdom, United States, France, Russia, China, and Germany, but which the Trump White House pulled the US out of last May. Relations between China and Iran began to thaw from the moment Chinese President Xi Jinping took office in 2012, and by January 2016 - at the moment sanctions were lifted - Xi visited Tehran, meeting with Supreme Leader Ali Khamenei and President Hassan Rouhani - which marked the first time a Chinese president visited Iran in 14 years. Iran's President Rouhani and Xi have since the Israel-China Haifa port deal signed agreements related to the Belt and Road. This included 17 multi-billion-dollar deals covering areas of energy, finance, communications, banking, culture, science, technology, and politics, with a further ten year road map of broader China-Iran cooperation. In total this could see trillions pumped into the Iranian economy over the coming decades while physically connecting China with Europe and Africa on an infrastructural level and in an expanding trade relationship. And this all brings back the original questions: if China is to play a crucial lifeline for Iran as it attempts to survive aggressive US sanctions, and if Israel is growing economically closer to China, won't such an alignment be dangerous to Israel's long term security and its tied-at-the-hip relations to Washington?